Reminder for parents: no school Monday, February 11 and Tuesday, February 12 for parent-teacher conferences. 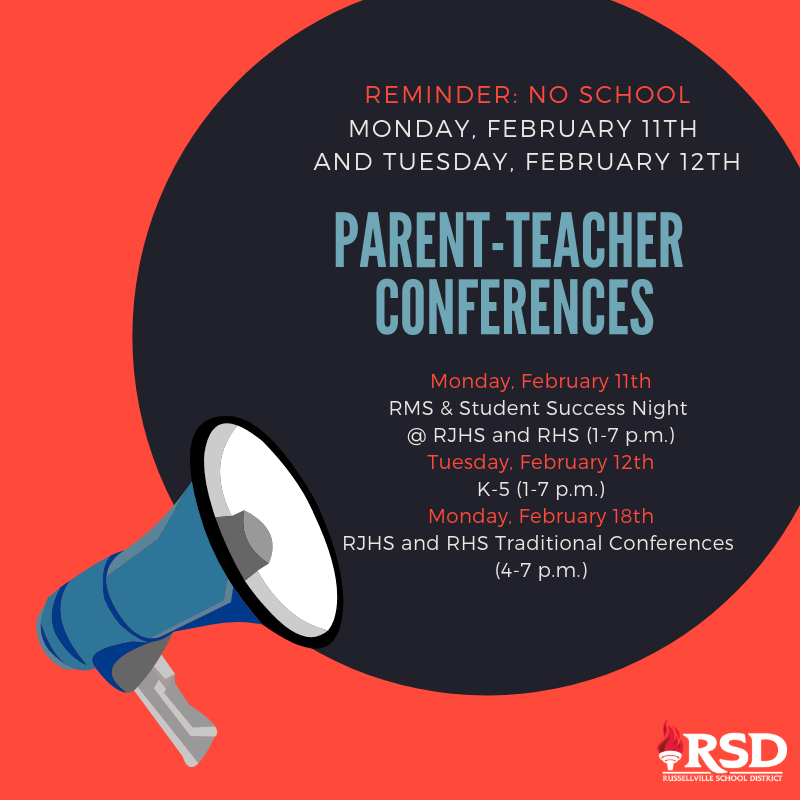 Monday, February 11th conferences will be held from 1-7 p.m. for all RMS students, and RJHS and RHS will host their Student Success night. Tuesday, February 12 conferences for grades K-5 will be held from 1-7 p.m.